Today we focus on the Ala Wai Flood Risk Management Project... talking about the proposed plans for retention and debris basins up-stream in the areas of Makiki, Manoa and Palolo and public concern about condemning private property. Jeff Herzog, Project Manager for the Honolulu District U.S. Army Corps of Engineers. Robert Kroning, Director of the City’s Department of Design and Construction. Sean Connelly, community voice, architect and curator of the Ala Wai Centennial Memorial Project. Hawaii DLNR and the C&C of Honolulu's Dept. of Design and Construction, in partnership with the U.S. Army Corps of Engineers, are holding a town hall meeting on Tuesday, March 19. Click here for meeting details. To visit the Ala Wai Centennial Memorial Project, click here. 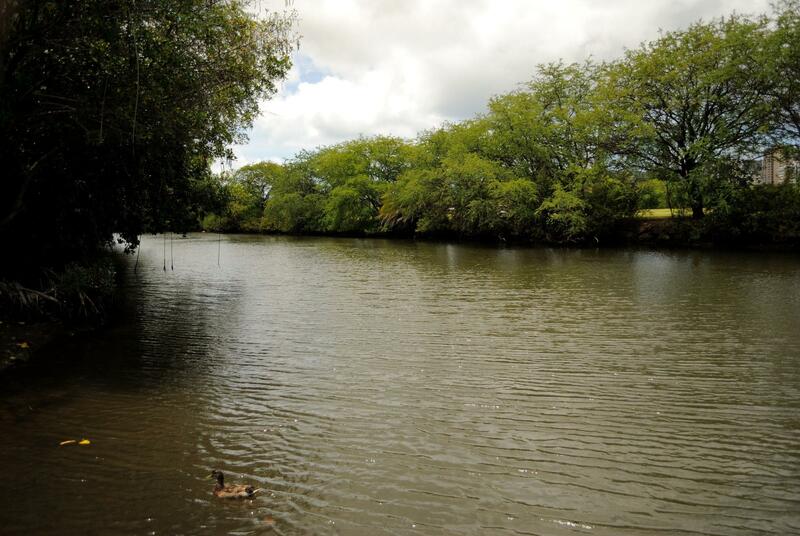 The state Department of Land and Natural Resources and the City and County of Honolulu, in partnership with the United States Army Corps of Engineers, will be holding a town hall meeting on the Ala Wai Flood Risk Management Project next Tuesday. A high surf warning is still in effect for much of the state's north and west facing shores until 6 AM Tuesday. Surf is expected to be between 25 to 45 feet, and eventually lowering to 18 to 24 feet later today. A high surf advisory is in effect until Tuesday at 6 AM for west facing shores of Hawaiʻi Island.